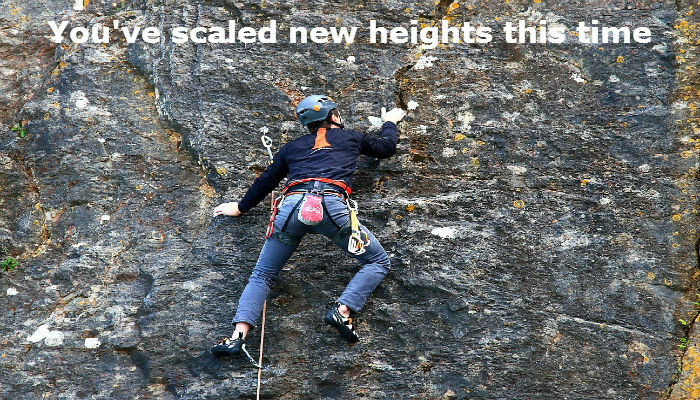 This inspirational design of somebody climbing a mountain, with the witty slogan ‘you’ve reached new heights this time’ is a sure way to get the message across to your customer or work colleague in the right way. What better to tell somebody that they have done a great job and exceeded expectation! With the right message and music to accompany this design, you are onto a winner! The receiver of these ecards are sure to feel proud of themselves when they see this motivational image. To climb the top of a mountain is the very essence of accomplishment and this design demonstrates this point in every way! Here at eC02 Greetings, we aim to provide the very best high quality corporate communication holiday ecards for business to our customers. Our exceptional designs, along with our outstanding customer care has ensure our customer are delighted with the end result and stay with us year after year. Once they have tasted one of our everyday ecards, they are always interested in our alternative range, from Corporate Holiday ecards to New year or congratulatory cards. The choices are endless. Our cards have a class of their own, why not send one today and show your customers and colleagues how much respect and admiration you have for them. Our team would love to hear from you to discuss your needs for e Christmas cards for business.